CBD, also known as Cannabidol is a non psychoactive of the cannabis plant. The common misconception around CBD is that it gives off a high being tied into the cannabis family. What most people don’t know is that it can actually counteract the psychoactivity of THC, the active component in marijuana that gives a user his or her a desired euphoria. Cannabidoil is a much less controversial option, while still offering it’s user significant health benefits. CBD is just one of over eighty components of this complex plant, however it’s commonly agreed that CBD is one of the most beneficial supplements available on the market. Take for instance the fact that CBD gives it’s users a relief and comfort that many pharmaceutical medications may not have been able to fix. This is just one of the many reasons that the plants chemical has become so increasingly popular in 2018! CBD has become a highly sought after compound in recent years, taking the natural products industry by storm after receiving highly publicized exposure in the media, including a special called “Weed” first premiering on CNN in 2013. Since then, hemp oil containing naturally occurring CBD products have appeared increasingly throughout and on shelves in doctors offices, natural food stores, medical marijuana dispensaries, head shops, and grocery stores alike, with no medical card required to purchase because of its legality. How to Use: Place tincture under your bird’s tongue or next to cheeks and let the oil absorb into soft tissue. If this worked, congratulations – you have a well behaved pet! For the rest of us with a less than stellar pet training record, it’s recommended you mix the Hemp Pet Tincture with wet or dry food, or simply put on your pet’s preferred treat. Being these are new herbal remedies, information is minimal but.. I did find this to give you a starting point. For best results, give to your pet twice daily and increase dosage incrementally until desired results are achieved. 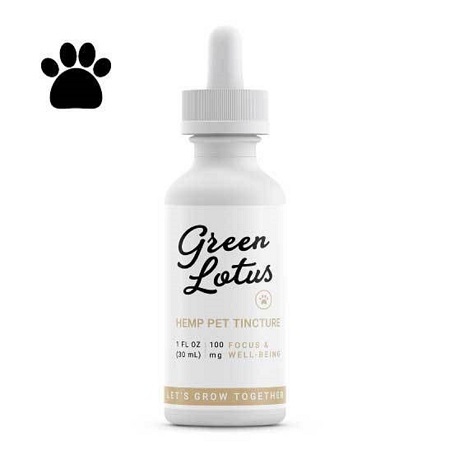 Green Lotus Hemp Oil Pet Tinctures are perfectly formulated for your pet’s health and well-being. All Green Lotus products are made from certified organic Colorado-grown hemp, and are 3rd party lab tested for heavy metals, residual solvents, and potency. Lab results are available. Use for screamers, nervous or aggressive birds: For behavior related feather pickers and chewers. For traveling or new environments. Safe, non-sedating, non-toxic. Great for birds who self mutilate and nothing else works!